On March 28, 2019, Disney Parks and Resorts dropped a bit of a bombshell with new rules and regulations at all of their parks within the United States. Among them is a rule ensuring strollers are ” no larger than 31″ (79cm) wide and 52″ (132cm) long.” In addition, wagons of any kind (plus stroller wagons) are no longer permitted and guests are no longer allowed to bring bags or coolers of loose ice. 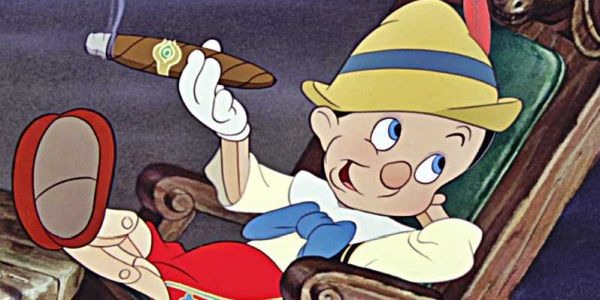 However, the real controversy came when Disney stated that as of May 1, 2019, all smoking would be banned in Disney Parks in the United States. This includes all theme parks and water parks at the Disneyland and Walt Disney World Resorts. Instead of having designated smoking areas within the park, those will now only be located outside the gates. While some see the move to ban all smoking in Disney Parks as a long time coming, why pull the trigger now? While we are only speculating, we do have a theory. Perhaps these new guidelines have been implemented as a result of something that happened just a few days prior to this announcement. On Monday, March 25, 2019 Florida Gov. Ron DeSantis signed into legislation that smoking medical marijuana is legal in the state of Florida. To give you a quick recap, even though medicinal weed was voted on (and passed) by Florida voters in 2016, former Gov. Rick Scott actually banned the smoking of medical marijuana. Despite the technicality, medical marijuana could still be taken in other forms, just not smoked. Now with a new Sheriff (Governor) in Florida, DeSantis is slowly but surely overturning some of the things he disagreed with Rick Scott signing into law. 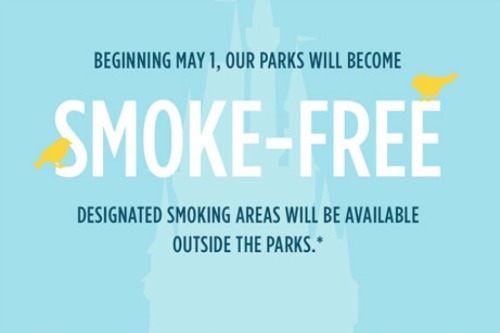 Four days after this announcement, all forms of smoking is banned from Disney Parks. Coincidence? Now you may be thinking, “Wasn’t marijuana added to the list of prohibited items back in 2017?” You’d be correct. Back in May 2017, Disney World and Disneyland both somewhat quietly added mary jane to their “naughty list” of things guests can’t bring with them to the park. It is also fair to mention that California has had legal marijuana for longer than Florida. Yet this ban came at the same time (perhaps coincidentally?) Florida legalizes the smoking of weed. However, I’d like you to consider two things. First, Disneyland Resort is primarily populated by locals. Meaning California residents make up the vast majority of guests visiting daily to Walt’s original park. Most likely, those guests are more accustomed to marijuana being used in public. Let’s say someone did light up a joint in a designated smoking section of Disneyland. Would guests notice? I’m sure they would. Would it ruffle some feathers? Depends on who passes by. It seems less likely to be an issue in California than in Florida, simply based on the average visitor. Now if you take that same logic at Walt Disney World, it doesn’t fly at all. Guests come in from all over the world. The public perception of marijuana is changing, though still mixed depending on where you come from. Here’s the key though: just because you support medical marijuana, doesn’t mean you approve of it being smoked in a family theme park. Let’s take it one step further. Imagine walking past a smoking area in a Disney Park and someone is smoking a joint. For which they have a prescription and a genuine medical need for it. However (as we stated above), weed isn’t permitted within any park. Someone goes and tells security. Security arrives and (unlike the rest of the smokers in the area) the person smoking weed gets upset. They then say it is for a medical reason and even though Disney has every right to remove them from the park… why? That guest can then go to the media, saying Disney is discriminating against certain forms of medicine and the next thing you know? You’ve got yourself a media circus even though Disney is within the rights to enforce their own rules. Sometimes you try to become more proactive than reactive. Which I believe is the case with the new smoking ban. Also worth mentioning, even with designated smoking areas, Disney (and other parks) still get flack for guests not abiding by park rules and smoking wherever they please. Pass a theme park smoking location on a busy day, you can still smell smoke. Those who are very sensitive to it can easily be affected. This brings me to my final point. No doubt, other theme parks (especially in Central Florida) are monitoring how guests react to Disney’s new no-smoking policy. If I’m correct, as they always do, they will also start enforcing their own policies in the near future and Disney has (once again) lead the charge. What are your thoughts? Do you think smokable medical marijuana is the reason this new policy was created? Do you think other parks will follow suit? This entry was posted in Disney and tagged Disney Park Policy, Disney Smoking Ban, Disney World, Disneyland, Medical Marijuana. Bookmark the permalink. Trackbacks are closed, but you can post a comment.